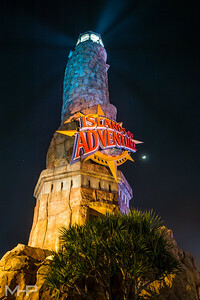 The IOA lighthouse is probably my favorite theme park icon in Orlando because it is mysterious and draws you in both because of what it is (a lighthouse), and because it sets the theme on your way into the park as well as on the way out. It is visually stunning and puzzling, a real work of art. So come, an adventure awaits! 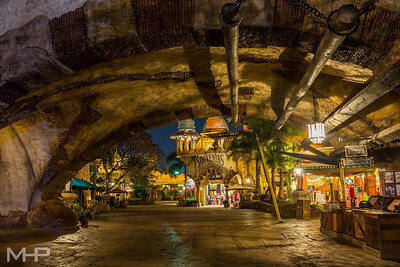 Port of Entry is so rich in detail and textures, and the textures on the Confisco's bridge really caught my eye this night. 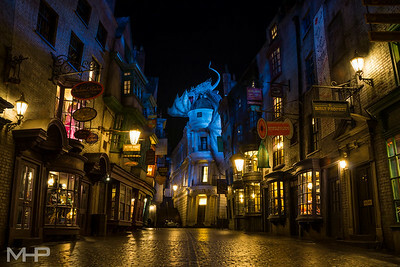 Here's my empty Diagon Alley at night contribution. As great as Diagon Alley is during the day, I think it really shines at night as the ambiance is taken to a higher level with the lighting. 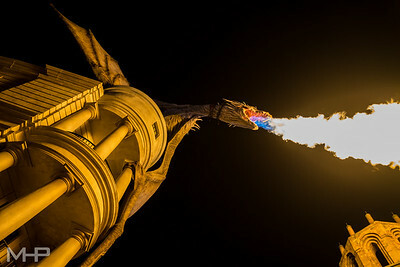 The dragon sitting atop Gringotts in the new Diagon Alley area at Universal Studios Florida is the most impressive thing I've seen at a theme park, anywhere. When it starts roaring to breathe fire...my jaw dropped even further than before. This thing is massive and extremely photogenic, and puts out one heck of a giant fireball. Easily my new favorite subject to photograph in Orlando. 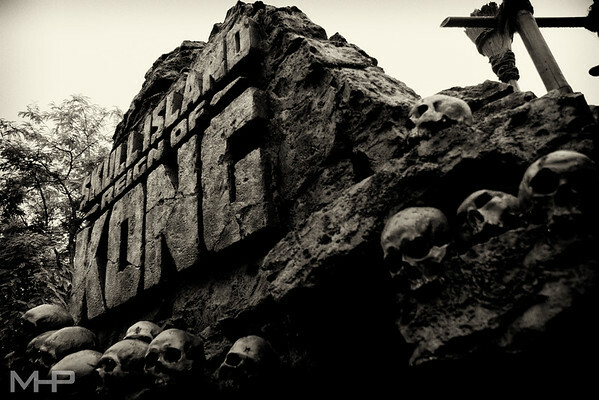 The walls are down, expeditions are starting, and danger awaits past these rocks and skulls. This was done by running my original through Silver Efex Pro2 to try and get that older feel. 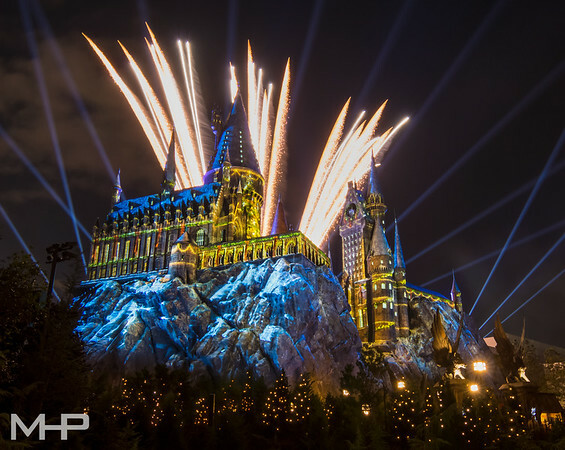 The new projection show on Hogwarts Castle for Universal's holiday event is really spectacular. The additional effects are minimal, but more than enough to perfectly compliment fun and beautiful projections along with the amazing soudtrack. This is a composite of a fireworks shot combined with a spotlight shot at the end of the show. 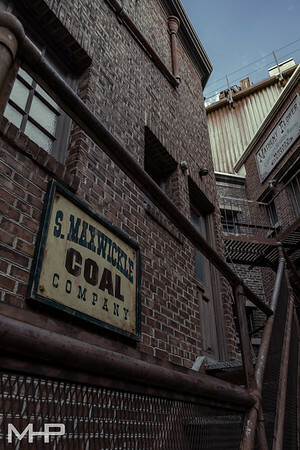 Sting Alley in Universal Studios Florida is one of my favorite places in the resort, because there's tons of details to explore with even more angles and compositions to play with. I always feel like the natural lighting of the pictures I take in this area doesn't adequately convey the mood that I feel, and the way I think about the area whenever I'm shooting, so pictures from back here always end up going through much more processing than most of my other shots. Toying with the colors, grain, and lighting in post to bring out the gritty feel the area conveys and the final image style I usually have in my head while I'm shooting.